DSM recently acquired the necessary infrastructure and connections to accommodate direct Medicare transmissions via high bandwidth connection. In addition DSM has received 5010 Approval from both Palmetto and Cahaba for direct transmissions. Transmitting claims through this new infrastructure eliminates the typical 3-day wait to get claims to Medicare through one of the large clearinghouses improving the turn-around time from claim transmission to payment. This in effect makes DSM your clearinghouse and removes one level of complexity as DSM provides the claim build and posting software as well as the transmission infrastructure. Only a few customers can take advantage of this direct connection at the moment but soon all customers will have this option. On May 16, 2012 Novitas will mail letters requesting that each group/billing provider complete a new CMS-588 EFT Authorization Agreement. The revised CMS-588 should be sent in to Novitas no later than 30 days prior to August 13, 2012. Provider action is required to avoid payment delays. Click here to see the “JH Implementation Alert”. DSM has been busy this summer bringing up EMR interfaces and installing our new insurance programs in customer hospitals. 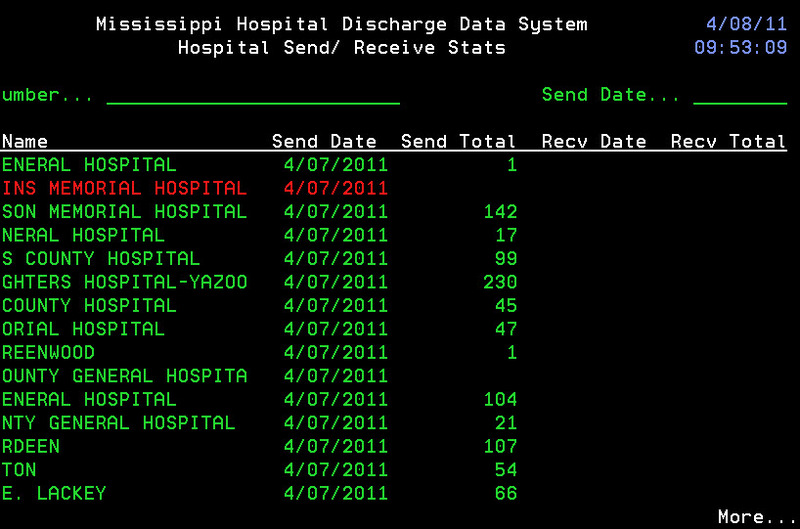 DSM now has four different EMR solutions in seven different hospitals up and running. All are interfaced to our billing system and were up and running by the July 3 deadline. 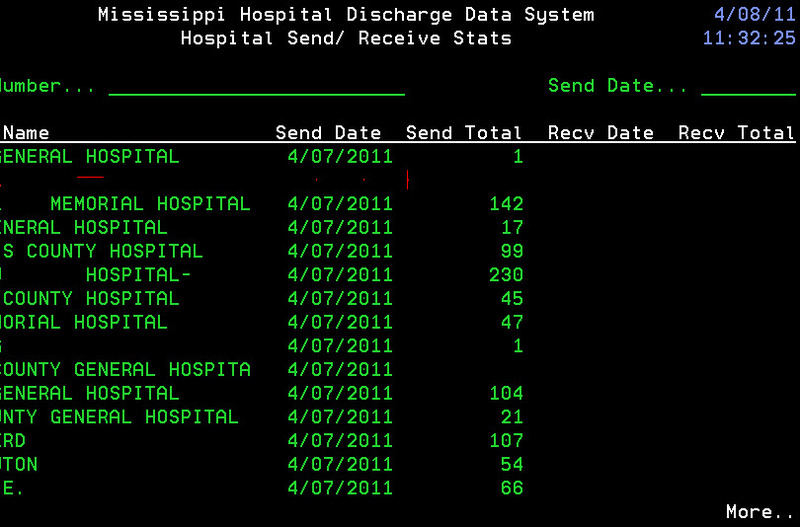 We have numerous hospitals in our customer base that have contracts signed and will be making the move on bringing up EMR’s in the next six months. 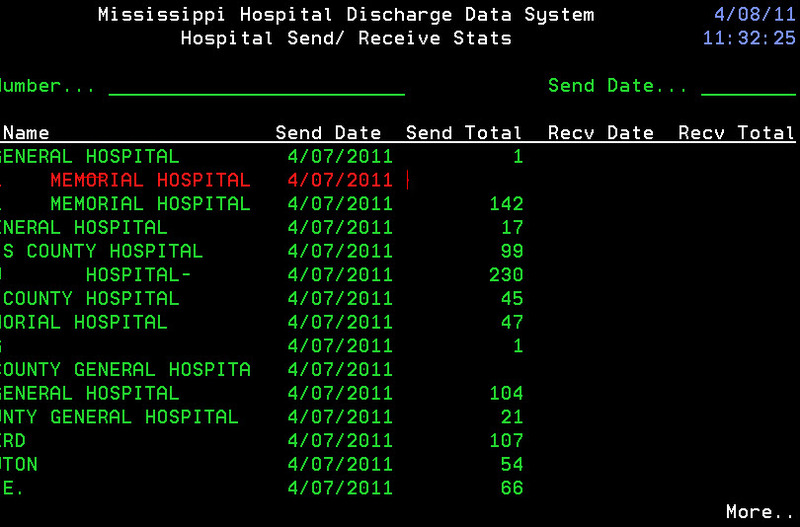 DSM is also in talks with several new hospitals for a tightly integrated solution with our preferred EMR partner, Razor Insights. The insurance system has steadily been installed in customer hospitals and it also has numerous enhancments in it. A new front-end edit system allows for a much larger number of edits and automatic claim modifications to occur before the scrub is done. We have also worked with our scrubbing partner to add customer specific edits to occur in the scrubbing process. The dashboard now includes dollar amounts and number of claims in the bar and pie charts. The 5010 X12 formatting programs are ready and testing for the January implementation is under way. Of course, our new insurance system was designed for 5010 compliance from the ground up which made the 5010 formatting a piece of cake. 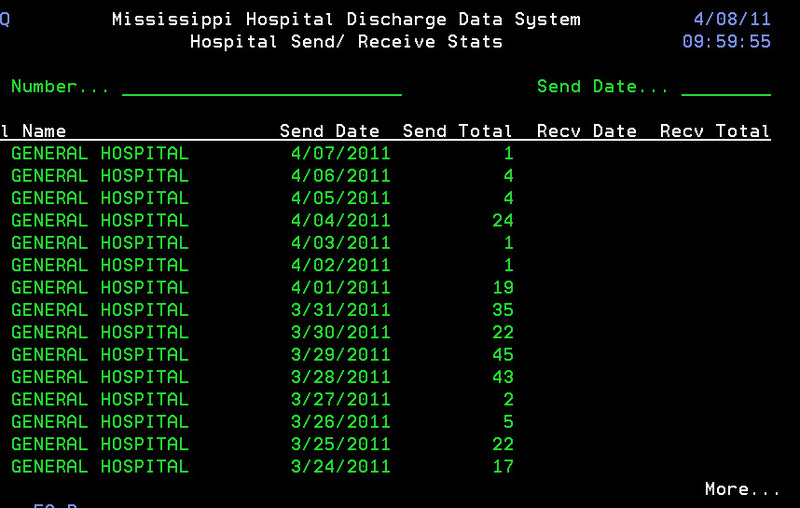 DSM has installed a new upgraded server for the Health Discharge Reporting System which will accommodate the lab result reporting system that the Health Dept is bring online as well as future systems like electronic surveillance. 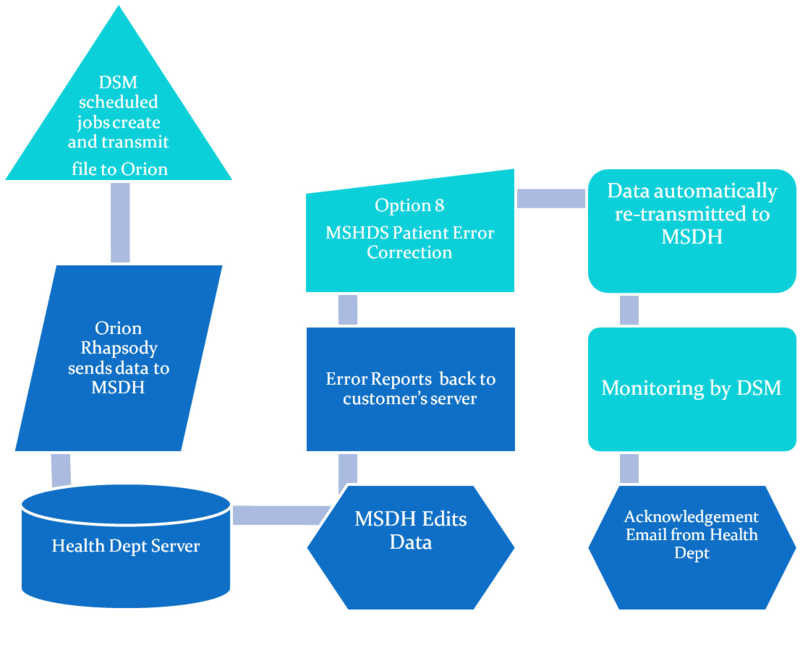 DSM has also collaborated to come up with improved reconciliation procedures for the discharge health reporting. Several customers have recently upgraded their servers with the latest Power7 servers from IBM. The machines are speed demons and make our new web based applications like insurance and time and attendance really whistle. The difference is truly unbelievable. The new servers have many great features that we like. The LAN console for example allows our support personnel to do functions requiring the console remotely. This allows most of the migration to the new system to be done remotely. IBM PTFs and operating system changes can be done without a technician being on site. The machine has many capabilities to make them even more highly available, like RAID-6 which allows for two drives to be damaged and the system will continue running. DSM is partnering with a third party group for new program development to refresh our entire product line. Work has already begun with the design and integration of registration screens with our EMR partner, Razor Insights. We now have medical necessity available through our new insurance system as a web service, eliminating the need to have a subscription. This system is transaction oriented rather than fixed price, meaning you can pay as you go at the same rate as insurance claims and only for the medical necessity checks that are performed. This is a vast cost improvement over partner solutions with fixed annual fees. DSM recently completed new certification requirements for IBM with both sales and technical certifications being completed for the new Power 7 systems. The new Power7 systems have been really moving at IBM, providing some of the highest sales volumes of these systems seen in recent years. Many thanks to all those who called concerned about us here at the Clinton offices when today’s tornado hit. The photo on the left was taken by someone at Mississippi College and of course DSM offices are nearby, but our offices received no damage. DSM’s network admin, Tracy Reynolds spotted a tornado briefly, we are not sure if it was the same one. It was certainly a scare. 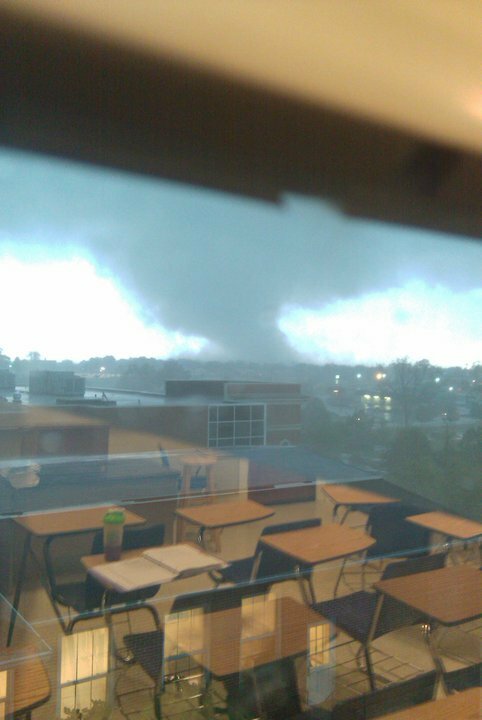 DSM employees were glued to the windows expecting a tornado, we are certainly glad that this one went east of us. Our thoughts are with the people who were injured. Try our movie for an animated discussion of our new product! On my last two posts, I discussed enabling the Windows 7 Administrator account and the problems associated with installing and using Client Access on Windows 7. This post will show you the steps to take to configure Client Access for every user on a Windows 7 PC. While changing these files, we’ll use the snap-to-edge feature of the Windows 7 Aero Desktop. This will allow you to see two windows at the same time much like an FTP screen. First Go to the Control Panel and click on Folder Options. Go to the View tab and under the Advanced Settings area click the radio button next to the “Show Hidden Files” entry and then Click the OK button. Click on the Start Menu and click the Computer link (on the right side of the menu). Double click on the C: drive and go to Program Files/IBM/Client Access/Emulator/Private. Click on the Start Menu and click the Computer link. Double click on the C: drive and go to Users/Administrator/AppData/Roaming/IBM/Client Access/Emulator/Private. Click the title bar and drag the window left until the cursor touches the left edge of the screen. In the left window, with the Ctrl key pressed, click the AS400 file and the newly created workstation file. This should highlight both files. Right click on one of the files and choose Copy. In the right window, right click and choose Paste. Replace any file that requires it. Find the “defaultkeyboard” entry and enter this line: “DefaultKeyboard=C:Program FilesIBMClient AccessEmulatorprivateAS400.KMP” without the quotes. On the left side, click the back button until you’re at the C: drive. Double click the Users folder and then the Public folder. Double click the Desktop folder. In the right screen, right click the workstation icon you created and drag and drop it into into the left screen and into the UsersPublicDesktop folder. When asked, choose to make it a shortcut icon. This will put the workstation on everyone’s desktop. Using these steps, you’ll be able to install Client Access, move and configure the workstation file to the IBM folder that everyone has access to, and then create a shortcut on everyone’s desktop. All your coworkers will look at you with envy! They’ll want to be you! If you get too lost while trying to accomplish these instructions, call me and I’ll get you straightened out. As people cling to Windows XP like it was the last donut in a room full of policemen, Windows 7 is quickly becoming more noticeable. Like every other version of Windows, Windows 7 is an improvement over it’s previous flavors. It’s not without its quirkiness, however, and one of the most notable is the configuration of the local Administrator account! Though it was not so important in XP, major installations (Client Access, anti-virus, etc.) should be installed using the Administrator account. Win7 takes the role of Administrator seriously. So seriously, in fact, that the Administrator account is not even enabled by default. When you start to configure a new Win7 PC, a good place to start is by enabling the Administrator account. To enable it, simply log on to the first user account you create. Click on the start menu, click on All Programs, and then click on the Accessories folder. Right click on the Command Prompt icon and choose “Run as administrator.” At the prompt, type in the command “net user administrator /active:yes” without the quotes. Hit the enter key and you should get a message stating that the operation was successful. Remember to open the command prompt by right clicking and running as the administrator. This is important because simply opening the command prompt and running this command will lead to error messages and possible balding, though the latter is still unconfirmed. The Administrator account does not have a password when you enable it so log off the current user and you’ll see the Administrator icon on the Welcome screen. Click it and, after the desktop loads (which might take a little longer the first time) click the Start Menu and go to the Control Panel. The default view for the control panel is supposed to be user friendly, but, like swimming with lead flippers, I find it a bit cumbersome. Near the upper right corner you’ll see a link labeled “View by.” Click on the word “Category” and choose “Large Icons” from the drop down menu. Scroll down to the bottom of the screen and you’ll see an entry for user accounts…so….click it. In the middle of the window there will be several links for different tasks. Choose the link that enables you to create a password and follow the on-screen prompts. When you’re done, close everything out and you’re ready to use the Administrator account.